Lightweight - only 71 lbs. 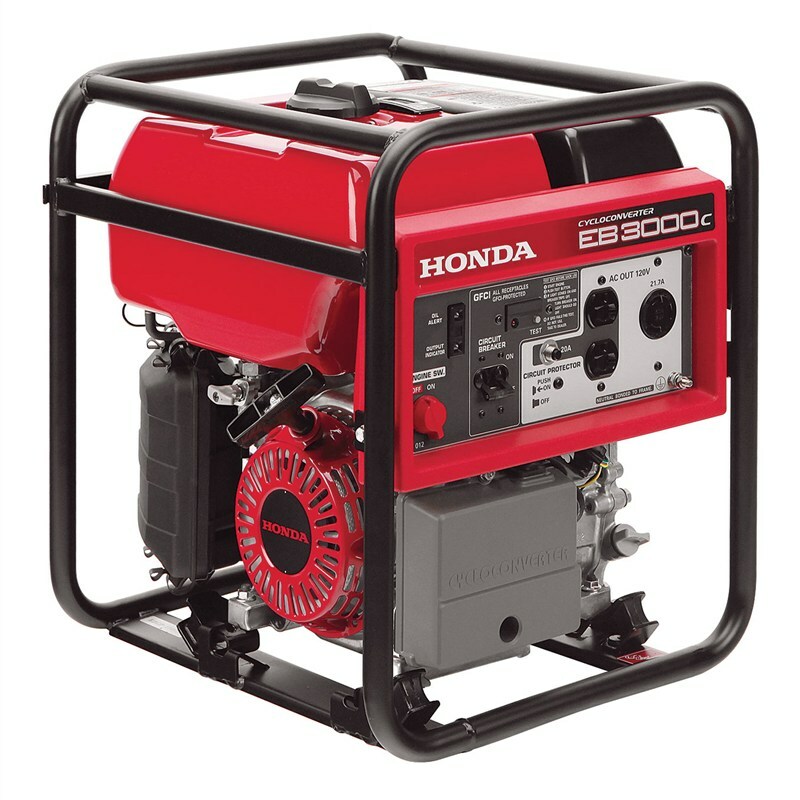 17.5" x 15.8" x 18.9"
Rated #1 by construction and industrial users, year after year: An independent survey of construction and industrial users has rated Honda the #1 generator 7 years in a row. Why? Our legendary reputation for performance, durability, and reliability. 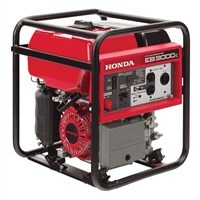 More power, less weight: At only 71 lbs., the EB3000c is Honda's lightest industrial generator. Honda's exclusive CycloConverter technology allows you to get more power with less weight. Exclusive CycloConverter Technology: Consistent power output: CycloConverter technology uses a special CPU to create stable, high quality power with less weight, compared to a traditional generator. All circuits GFCI protected: The EB3000c is OSHA compliant with neutral bond and full generator GFCI (Ground fault circuit protection) on all outlets.